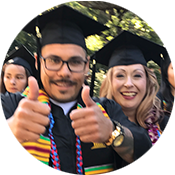 If you're a California community college student and know which major you want to study, you can follow one of UC’s Transfer Pathways to start preparing for your major and keep your UC campus options open. The Transfer Pathways offer a single set of courses you can take that will transfer to any of UC’s nine undergraduate campuses. This site shows you which UC-transferable courses from ASSIST meet the specific course expectations for a given Pathway. An Associate Degree for Transfer is a special degree offered through the California Community Colleges that gives you the opportunity to save time and money by guaranteeing you a saved spot at CSU, UC, Historically Black Colleges or Universities (HBCU), Western Governors University or participating non-profit, private colleges in California (member institutions of AICCU). 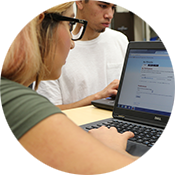 The joint transfer program makes it easier for students like you to transfer between a California community college and the participating institutions. With this degree, you have the opportunity to complete two degrees with only 120 units if you apply and are admitted into a similar degree program to earn your bachelor’s degree.